Canada’s Northern Harvest Sea Farms Group is the world’s first salmon company to achieve four-star Best Aquaculture Practices (BAP) status, denoting the company’s salmon processing plants, farm sites, hatcheries and feed mills are all BAP certified, the Global Aquaculture Alliance announced in December. “Congratulations to the management of Northern Harvest on attaining hatchery, feed mill, farm and processing plant certification to the BAP standards. It’s the first company to achieve BAP four-star status for salmon, and this is a tribute to the company’s leadership,” said GAA Executive Director Wally Stevens. Northern Harvest Sea Farms’ processing plant, marine sites, and Skretting Canada feed mill in Bayside, New Brunswick, had previously attained BAP certification in October 2012. 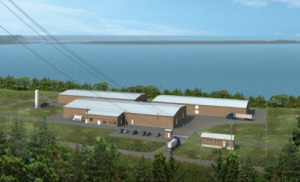 Additionally, Northern Harvest’s Bar Island site was Atlantic Canada’s first BAP-certified salmon farm. Certification of Northern Harvest Smolt Limited hatchery now distinguishes Northern Harvest Sea Farms as world’s only four-star BAP certified salmon aquaculture company. Founded in 1985 by the Ingalls family, Northern Harvest produces the finest marine farmed salmon in Atlantic Canada and is one of North America’s largest aquaculture companies, with salmon production levels in excess of 15,000 tons annually. Northern Harvest sells exclusively fresh never frozen salmon in the U.S. and Canadian markets.